Morganville, NJ (January 12, 2011) – Junior Middleweight sensation Denis “Da Mommas Boy” Douglin has signed an exclusive agreement with world renowned advisor Al Haymon. 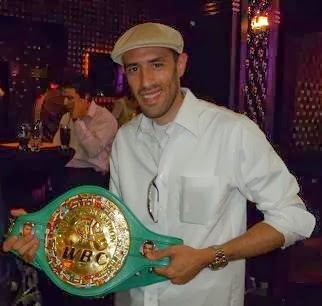 Widely regarded as one of the most influential figures in professional boxing, Haymon’s impressive clientele includes Floyd Mayweather, Paul Williams, Andre Berto, Daniel Jacobs and Antonio Tarver amongst others. His fighters all have appeared in lucrative bouts and on the biggest fight cards to ensure maximum exposure, which is exactly what Douglin was looking for. 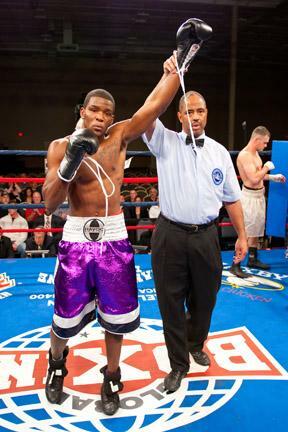 A 2008 National Golden Gloves Champion, Douglin’s unblemished professional ledger stands at 12-0 with 8 wins by knockout. He was a perfect 6-0 with 5 stoppages in 2010 and is recognized amongst the top prospects on the east coast. In addition to his well rounded skill set, many in the boxing world have taken an interest in Denis’ career due to the fact that he is trained by his mother. Douglin’s next bout is scheduled for February 18 in Salisbury, MD on an ESPN 2 Friday Night Fights undercard.